And the Teddy Roosevelt quote that inspires him. 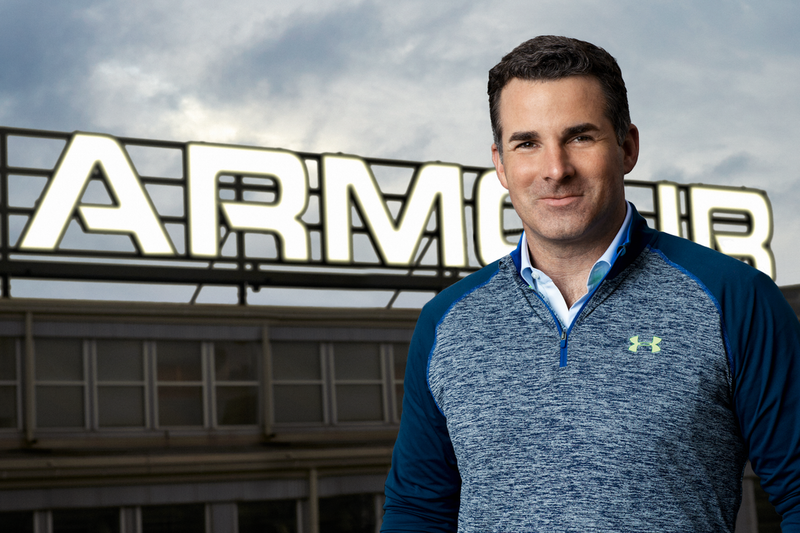 Kevin Plank: Check my sleep in UA Record, check texts and email, then go work out (most days). KP: It comes from everywhere. Energy and passion are everything. The mission of Under Armour inspires me. Today, we are the third-largest athletic brand in the world, but we want to be the BEST! The competition is fierce, but we are growing and still have a lot of runway. I am inspired by the fight but especially the TEAM we have. Our consumers, our athletes, our community of Baltimore, the 15,000+ UA Teammates, and all of our extended support and partners — it certainly takes a village. We just want to WIN. KP: I am not excellent at it. Faster response is a good New Year’s resolution for me, but I actually love getting mail. I went to military school, so checking (physical letter) mail was one of the highlights of my day, but the contents seem the same: a little junk, a lot of biz/work, and a few that just make me smile. KP: Do email. 🙂 I sit outside of my office on the porch that stares over the Baltimore Harbor and think.